Jungle Red Writers: Malice Quiz! 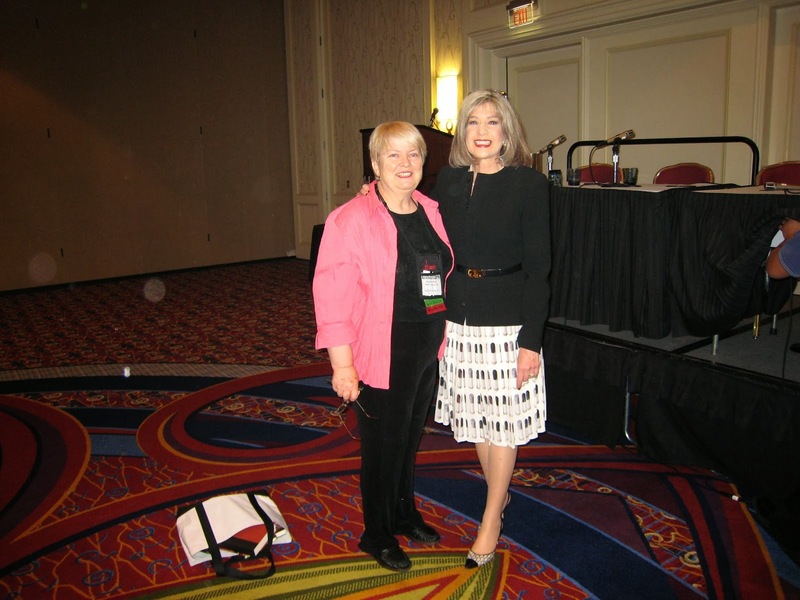 HANK PHILLIPPI RYAN: Is there something still on your to-do list? Like maybe--register for Malice Domestic? If you love traditional mysteries, this is the place to be the first weekend in May in Washington, DC! And do you know our stuff? Here's a quick Malice quiz: who was the first Malice Domestic Guest of Honor? And who is this year's? If you haven't registered yet, the rates go up on January 1, 2014. Also, those who register by the 12/31/13 deadline will receive an Agatha Nomination Ballot in early January. Register online here! And here's the first GOH: recognize Phyllis A. Whitney ? 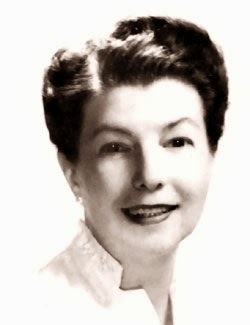 In the 1960's, says her bio, "with 37 books in print, she was hailed by Time Magazine as the only American in her field with a major reputation equal to those of Britain's Mary Stewart and Victoria Holt." And following in her august footsteps, this year's GOH Kathy Lynn Emerson. "I'll be attending Malice Domestic this year for the first time as a published author! It will also be my first conference after my book, Circle of Influence, comes out!" "I'll be selling copies of my new mystery, Murder a la Christie." "The best part is the people. Writers, readers, fans, coordinators--they're the most welcoming group I've every encountered at a conference. If you're a first-timer? No problem: we'll take you under our wing and introduce you to everybody. (Oh, of course I'll be there!)" Here's a big shout-out to table 10! You can see by the wine and the smiles we had a wonderful time at the banquet. But who else will be there this year? 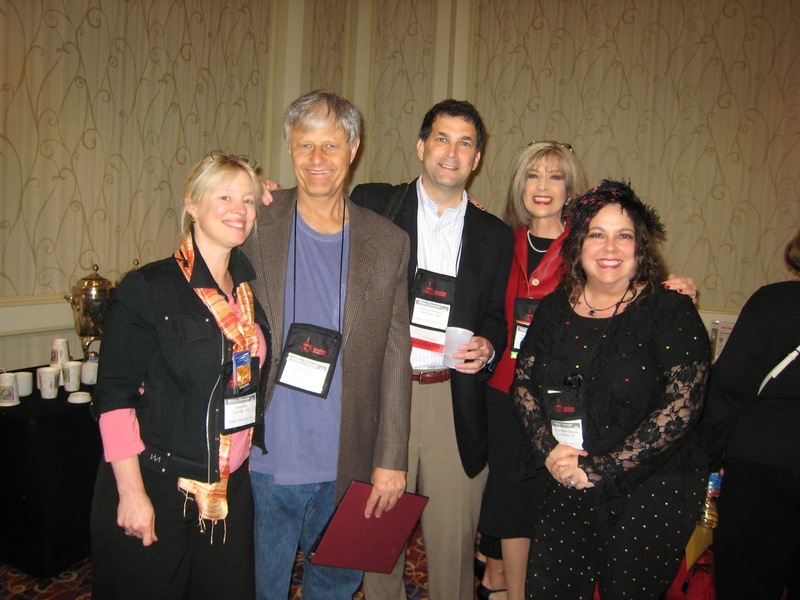 Wow--look at this lineup from the Malice Banquet 2008! and wouldn't miss it for the world. "I’ll be there with bells on—perhaps literally. I love Malice Domestic. It’s practically a family reunion. I can’t wait!" And yay for Henery Press! Lots of authors from the Hen House (Like Susan Boyer, and Gigi Pandian, and LynnDee Walker, and Diane Vallere) will be there. What a terrific group..check out their books here...and then come meet them in person! Hank with Margaret Maron in 2008! 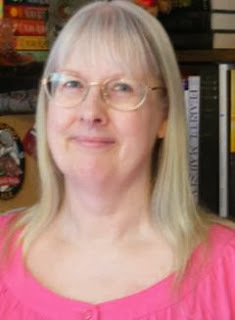 "I have three reasons for attending Malice: (1) to support Ruth Moose, a member of our Triangle SinC chapter, whose cozy Doin' It at the Dixie Dew won the Malice Domestic last year and will be published by St. Martin's in April (2) to brag about our chapter's anthology, Carolina Crimes: 19 Tales of Lust, Love, and Longing, which hopefully will be available by May, and (3) to enjoy the camaraderie, panels, and general all-around fun of Malice! (Plus I really enjoy the train ride from Raleigh to DC.)" "I'll be attending Malice this year because Jan and I had such fun last year meeting everyone and to celebrate my 2013 debut novel, BAD POLICY and its sequel this year, CABIN FEVER." "For the pure joy of interacting with fans and other authors." "‪This is my first time attending Malice, and I'm really excited. To get to meet other gups plus be around all these other writers and readers, I'm sure that I'll feel as if I died and went to heaven. It will be magnificent!" And lots of first-timers--who instantly get swooped up into the fun, like Guppy President Michele Drier--who'll finally get to meet some of her fishies in person! all the folks I think of as friends I haven't met yet! Erika Chase says: "I'm going to Malice because it's the place to be if you love cozies! I love writing them and I so love reading them. Love to meet writers and readers, renew friendships and make new ones. It all happens at Malice Domestic." Terrie Farley Moran is going to Malice Domestic 26 to visit with old friends and make some new friends. She looks forward to the Friday night social and to learning about writers and series that she may have overlooked. ‪KB Inglee says: "I haven't been for years. Last time I went as a fan, this time as a writer!" And Leslie Budewitz--who won the non-fiction Agatha--is now bringing her first mystery to Malice! 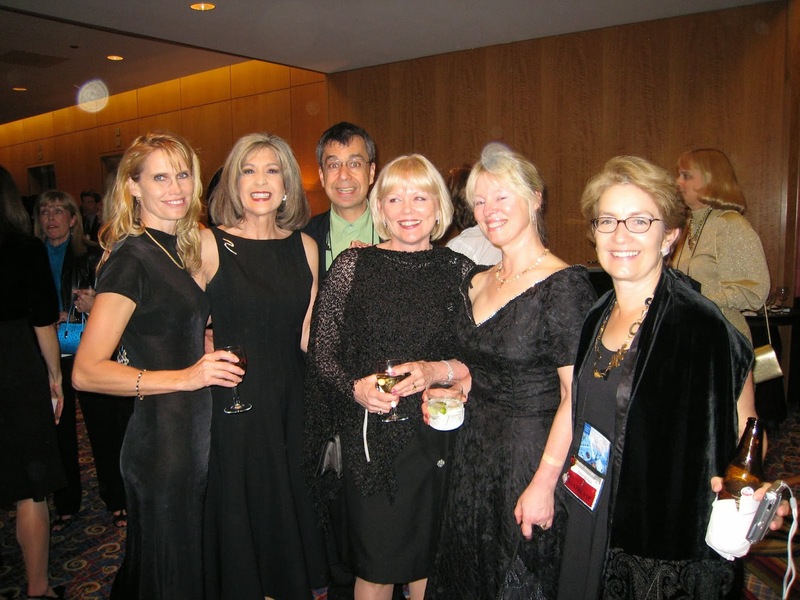 "Because it’s such a great party – with exactly my kind of readers and writers!" So who else will be there? What are you looking forward to? And what advice do you have for first timers? Ads for the program book are also available for purchase in our store. Please contact us with your ideas for auction items! Wow . . . this sounds amazing! I wouldn't miss it! See you there. I'll be there - I LOVE Malice! There is nothing like Malice. It's smaller than Bouchercon, so it's perfect for those going to their first convention. The planning committee does a great job of keeping the panels interesting. And the setting, in Bethesda, MD is just lovely. If you have never been, you must give it a try. Your first will not be your last! I attended my first malice in 2007 and I have gone every year since. I am a reader with no desire to ever be a writer and I love this conference. The panels are always interesting, the authors are always generous with their time, and the attendees are always wonderful. It was on my short-list for 2014, but alas, probably not. I only have funds for one big conference a year. Next year, it is most likely to be WPA. But I will make it to Malice on of these years! I don't know I don't know! I'm going to Bouchercon and LCC, for sure. I'm like Susan -- I don't know if KILMOON fits. It's not cozy ... but could it still be considered "traditional"? What does the mean, "traditional," really? Sounds like a blast, that's for sure. I'm always up for a blast. I was all set to go, but it conflicts with my niece's high school graduation. Maybe I will appease myself and go to Crime Bake! Lisa, a traditional mystery features an amateur sleuth - a regular person solving crimes, not someone whose job would require them to do so like police or private investigators. Often in a village setting but doesn't have to be. Ooh, my daughter just moved to Arlington, so I would have a place to stay. I've been to three Bouchercons, which are so much fun. Have always wanted to go to Malice. Susan, yes yes yes. You'd LOVE it. We can be buddies. ANd LIsa, "traditional" is also like Agatha Christie--a mystery that's a puzzle! Lisa, there are so many traditions! Honestly, I don't think the presence of a detective is an issue -- there's nearly always an official investigation occurring at the same time as the amateur investigation; the gaps, gaffs, and biases of the police officers are often what spark the amateur to investigate. Sometimes the amateur is a retired professional, like GM Malliet's Father Max Tudor. And Louise Penny's series features official investigators, but has a traditional feel to it. So, come to Malice. Make it your own tradition! I had SO much fun last year, and can't wait until May! Hank, thanks for the shout-out for Henery! We all love and appreciate you so much. Meeting you was one of the highlights of my first Malice last year, and I can’t wait to see you again! Li-SA. Li-SA. Li-SA. COme to Malice! We'll hang out! Great post, Hank. You all are so right. Malice is a wonderful reunion. Looking forward to seeing you all there. Hey, Paula, hey Terrie! See you there! I'll be there at Malice. 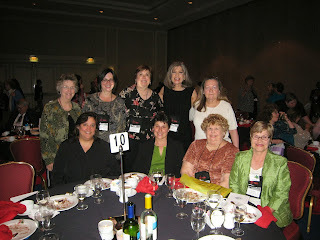 It's such a fun conference and a great chance to meet up with mystery authors I've met through the internet and with fans. I'm so delighted to be able to say that I have fans. Oftentimes writing seems such a solitary labor of love. But Malice for me is fun, fun, fun. I only hope grandchild #5 waits until June for her debut from the womb, as is the current plan. I'll be there. My first Malice. Can't wait to meet everyone in person. Don't want to be wishing my life away, but ... hurry up May. I want to go to this one, Hank, but I don't know if I can this year. I am going to have to check with my book traveling friend to see if I can talk her into attending. 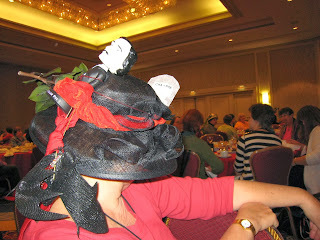 After attending my first Bouchercon this past year, I am ready to try out some other great gatherings. If I could get in some quality time with the Reds, Malice would be wonderful.